To determine whether emotional distress reported at the initial consultation affects subsequent healthcare use either directly or indirectly via moderating the influence of symptoms. 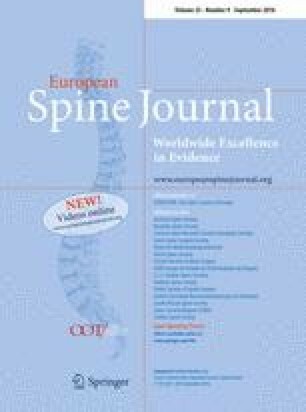 Longitudinal observational study of 2891 participants consulting primary care for low back pain. Negative binomial regression models were constructed to estimate independent effects of emotional distress on healthcare use. Potential confounders were identified using directed acyclic graphs. After the initial consultation, participants had a mean (SD) of one (1.2) visit for back pain over 3 months, and nine (14) visits for back pain over 12 months. Higher reports of anxiety during the initial consultation led to increased short-term healthcare use (IRR 1.06, 95 % CI 1.01–1.11) and higher reports of depression led to increased long-term healthcare use (IRR 1.04, 95 % CI 1.02–1.07). The effect sizes suggest that a patient with a high anxiety score (8/10) would consult 50 % more frequently over 3 months, and a person with a high depression score (8/10) would consult 30 % more frequently over 12 months, compared to a patient with equivalent pain and disability and no reported anxiety or depression. Emotional distress in the acute stage of low back pain increased subsequent consultation rates. Interventions that target emotional distress during the initial consultation are likely to reduce costly and potentially inappropriate future healthcare use for patients with non-specific low back pain. The online version of this article (doi: 10.1007/s00586-016-4461-0) contains supplementary material, which is available to authorized users. AT and HL are supported by a National Health and Medical Research Council PhD Scholarship. GLM is supported by a National Health and Medical Research Council research fellowship NHMRC ID 1061279. JM and MH are supported by a National Health and Medical Research Council project Grant ID 1047827. CM is supported by a National Health and Medical Research Council research fellowship NHMRC ID 1002081.